In Episode 81 of the Just Japan Podcast, host Kevin O’Shea talks to a panel of Japan-based podcasters about “Everything Japan”! Returning guests and friends of the show sit down to chat about a variety of topics. 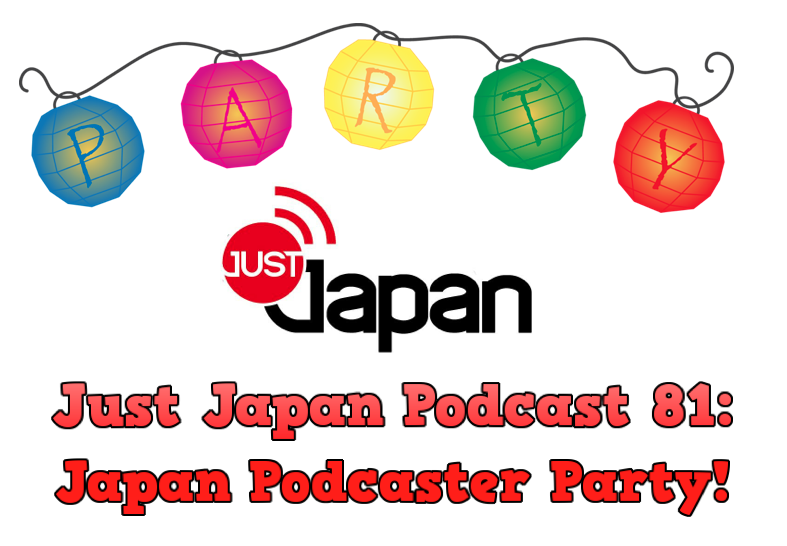 Kat and Jenny from he Kimochi Uncensored Podcast as well as Jim and Tomoko from the Mully’s Place Podcast answer Just Japan Podcast listener questions in an epic “Podcaster Party!” A wealth of Japan knowledge coming your way this week. Tomoko on YouTube and on Twitter. Follow Jenny on YouTube and on Twitter. Check out Kat on YouTube and on Twitter. Check out the “Luck of Japan” Etsy shop for loads of cool things from Japan (my shop). Here’s a fun bonus video from my BusanKevin channel…me taking on a very hot pepper!